Successful strategy is based on having the right people, people who have the skillset, mindset and behavior-set to align with your organization and where it is heading. Decisions related to people are mission critical. 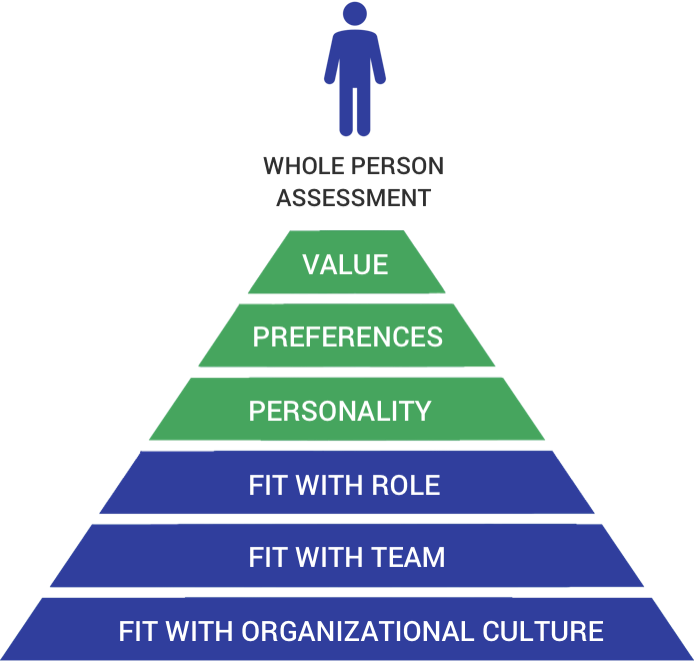 Our assessment approach begins with understanding your organization and what it takes to be successful both within a specific role, but more importantly with your mission and strategy. We focus on the whole person and fit with mandate, fit with culture, and fit for the future.